For centuries, before the arrival of refrigeration and canning, this technique was used for preserving foods. 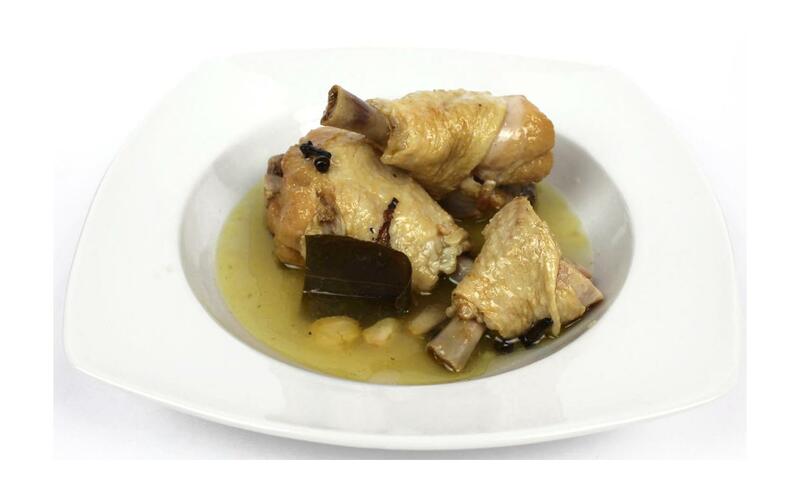 In his wonderful book Catalan Cuisine, Colman Andrews explains that the word escabeche comes from the Perso-Arabic sikbaj, or "vinegar stew", a reminder of one of many culinary traditions the Moors introduced to the Spanish. 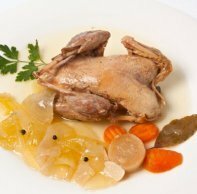 Partridge, quail, pheasant, chicken, trout, sardines, tuna, and mussels are among the foods most commonly prepared en escabeche. The brines generally include vinegar; olive oil; and wine, stock, or water; or a combination. These liquids are often, but not always, added in equal parts. Because sherry vinegar is strong flavoured, it is not commonly used. 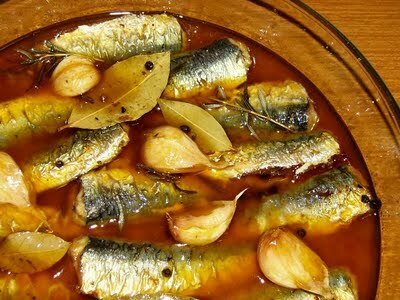 If you use it in place of the red wine or white wine vinegar in an escabeche recipe, add only half the amount called for and make up the difference with water, wine or stock. Combine the liquids and the spices into a marinade, stirring well to mix the flavours. Cut the chicken into serving pieces, brown them in a skillet, add the marinade, and simmer over low heat for 30 minutes or so until cooked through. Let the food cool completely in the escabeche brine and then store in the brine at cool room temperature for a day or so or in the refrigerator for up to a week. 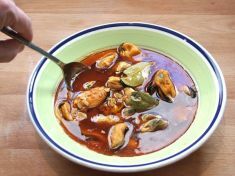 If you are cooking small items, such as sardines, mussels, or bite-sized chunks of chicken, reduce the cooking time to 10 minutes. If you are preparing large pieces, such a whole partridge, increase the cooking time to 1 or 1 1/2 hours.